(New York, NY & Los Angeles, CA – September 21, 2017) – Today, two major public radio producers – KCRW and WNYC – announce the launch of There Goes the Neighborhood: Los Angeles, an eight-part podcast series examining the winners and losers of neighborhood gentrification, and the forces driving it in Los Angeles. The series is a new season of WNYC Studios’ original There Goes the Neighborhood podcast, which featured an in-depth look at gentrification in Brooklyn at a time when the borough had come to symbolize the phenomenon. Debuting Tuesday, September 26, There Goes the Neighborhood: Los Angeles will explore how LA has gone from the place to chase your dreams to one of the least affordable cities in the country. 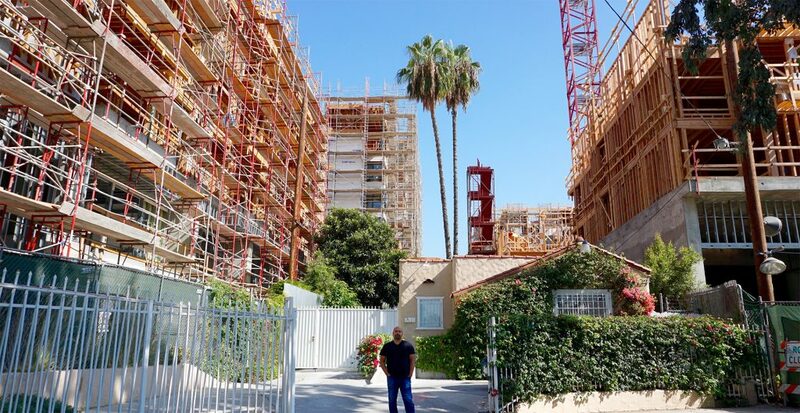 The series will take an unsparing look at urban development and soaring housing prices that are expanding into previously unaffected neighborhoods such as Jefferson Park, Inglewood, and Elysian Valley. In addition to Gonzalez, There Goes the Neighborhood: Los Angeles will feature reporting from KCRW contributors, including housing reporter Anna Scott, data and investigative producer Miguel Contreras, and Design and Architecture host and producer team, Frances Anderton and Avishay Artsy. “Wherever I go in L.A., I hear people talk about how worried they are about the cost of housing and just how hard they have to work to keep a roof over their heads. That fear is only heightened by gentrification and this feeling that Los Angeles is becoming one big playground for the rich, a great place if you have money, a terrible one if you don’t. I think the fundamental question facing Los Angeles is whether working people can still create decent lives for themselves and their families here. If they can’t, we all get hurt,” Gonzalez says. There Goes the Neighborhood: Los Angeles premieres Tuesday, September 26 at kcrw.com/theregoestheneighborhood, wnyc.org/shows/neighborhood, Apple Podcasts, and all other places where podcasts may be downloaded. The preview episode is available here. There Goes the Neighborhood: Los Angeles is funded by a grant from the Conrad N. Hilton Foundation as part of a multi-year reporting project to tell stories of Los Angeles’ most vulnerable communities. It follows “KCRW Investigates” and “Below the Ten: Stories of South LA,” documentaries about the lives of Los Angeles workers and residents who find themselves on the edges of society. KCRW announced that starting November 13, 2017, To The Point, the signature daily national public affairs show, will be moving from the broadcast platform to a weekly podcast platform. The final daily broadcast of TTP will be November 10th. To The Point joins a comprehensive set of exclusive podcasts that bring a wealth of ideas and topics to KCRW listeners, including Scheer Intelligence, Unfictional, The Organist, Here Be Monsters, Off the Block, Below the Ten, Celestial Blood / Sangre Celestial, and The Document. Olney also plans to step up his live Los Angeles appearances. He will host a live event series in partnership with Zocalo Public Square, diving into similar issues that he will tackle in his podcast. The first event will be held on October 10th at the National Center for the Preservation of Democracy in Little Tokyo. To subscribe to Warren Olney’s To The Point podcast, go to kcrw.com/podcasts. KCRW creates and curates a unique mix of content centered around music discovery, NPR news, cultural exploration and informed public affairs. KCRW is driven by the spirit of Los Angeles and delivers in innovative ways – on the radio, digitally and in person – to diverse, curious communities around the corner and around the world. A community service of Santa Monica College, KCRW can be found on the air in Los Angeles, Santa Barbara, Ventura, Mojave, Palm Springs, and via its KCRW-developed smartphone app and online at KCRW.com. KCRW announced today a new multi-year documentary and reporting series on issues affecting the lives of Los Angeles residents who find themselves at the edges of our community. The series, supported by a generous grant from the Conrad N. Hilton Foundation, will explore Los Angeles’ most vulnerable populations. The station will program live music entertainment – both bands and DJs – for three “Acura Hours” events on an outdoor stage in the center of all the action at the Acura Studio on Main Street. Los Angeles, CA & Park City, UT — LA public radio station KCRW will bring live music to the streets of Park City for three “Acura Hours” events on an outdoor stage open to the public in the heart of Main Street. The early evening sets, from 3 pm to 5 pm, will feature a wide variety of artists on January 24, 25 and 26. KCRW will also have a space at the Acura Studio as its Park City home, where hosts Jason Bentley and Anne Litt will be speaking with film and music luminaries at the festival for segments to be broadcast on the station’s signature music show Morning Becomes Eclectic. Keep an eye on all the action, including contributions from the curator of KCRW’s film series First Take, Matt Holzman, as well as producers behind The Business, The Treatment and more, on our Sundance page. KCRW’s presence at the Festival began two years ago, when the esteemed entertainment powerhouse was chosen as the first-ever radio station to join forces with the independent film festival in programming evening music performances. 2015 marks Acura’s fifth year as a Presenting Sponsor of the Sundance Film Festival and the Official Vehicle of the festival. SANTA MONICA, CA (January 20, 2015)—The Los Angeles-based Conrad N. Hilton Foundation awarded Southern California’s acclaimed public radio station, KCRW, a $1 million grant to develop a new multi-year documentary and reporting series examining issues affecting the lives of LA’s neediest residents and underserved communities. The Foundation’s grant will support KCRW’s news team as they take an intimate look into the lives of Angelenos and find and tell stories illustrating the challenges faced by the city’s most disadvantaged and marginalized residents. “The Hilton Foundation’s unprecedented support to KCRW will deepen our ability to tell important stories that require time, depth and analysis,” said Jennifer Ferro, President of KCRW. The Hilton Foundation’s grant comes after KCRW’s emphasis on new award-winning reporting and storytelling projects produced in-house or as part of the station’s Independent Producer Project. The Hilton Foundation’s grant marks the foundation’s first grant to KCRW and their first large grant to public media. The gift supports efforts to advance KCRW’s public service mission by expanding original programming—a key goal of the station’s $48 million Capital Campaign. The Campaign is KCRW’s first major fundraising initiative and is designed to support the construction of a new 35,000-square-foot KCRW Media Center and investments in new programming and technology. To date, KCRW has secured $36 million, including $28 million from Santa Monica College, licensee of KCRW, with funding from 2008 Bond Measure AA. Other supporters of the Capital Campaign include the Annenberg Foundation, The Ahmanson Foundation, The Rosalinde and Arthur Gilbert Foundation, W.M. Keck Foundation, Kayne Foundation (Ric & Suzanne Kayne and Jenni, Maggie & Saree), The Ralph M. Parsons Foundation and Santa Barbara Foundation. 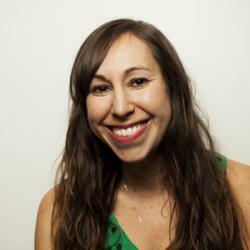 KCRW creates and curates a unique mix of content centered around music discovery, NPR news, cultural exploration and informed public affairs. KCRW is driven by the spirit of Los Angeles and delivers in innovative ways – on the radio, digitally and in person – to diverse, curious communities around the corner and around the world. 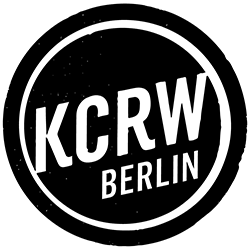 A community service of Santa Monica College, KCRW can be found on the air in Los Angeles, Santa Barbara, Ventura, Mojave, Palm Springs, and via five KCRW-developed smartphone apps and online at kcrw.com.